4th: M Bourn grounded out to pitcher. 9th: M Bourn flied out to left. 1st: M Prado grounded out to first, M Bourn to second. 2nd: M Prado flied out to center. 5th: M Prado grounded out to shortstop. 7th: M Prado struck out swinging. 1st: J Heyward homered to right center (403 feet), M Bourn scored. 3rd: J Heyward flied out to center. 5th: J Heyward lined out to second. 8th: J Heyward lined out to left. 1st: F Freeman flied out to right. 3rd: F Freeman lined out to pitcher. 5th: F Freeman grounded out to third. 8th: F Freeman singled to shallow left. 6th: D Uggla struck out swinging. 8th: D Uggla homered to left center (390 feet), F Freeman scored. 1st: J Francisco grounded out to pitcher. 3rd: J Francisco flied out to right. 6th: J Francisco grounded out to third. 8th: J Francisco struck out swinging. 4th: D Ross doubled to deep left. 6th: D Ross struck out swinging. 8th: D Ross grounded out to third. 2nd: P Janish flied out to center. 4th: P Janish flied out to right. 7th: P Janish flied out to right. 9th: P Janish fouled out to third. 2nd: P Maholm sacrificed to first, D Ross to second. 4th: P Maholm struck out looking. 7th: P Maholm struck out swinging. 9th: P Maholm struck out swinging. 1st: A Torres grounded out to third. 4th: A Torres struck out swinging. 6th: A Torres grounded out to shortstop. 9th: A Torres flied out to right. 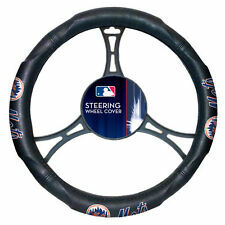 1st: R Tejada safe at first on error by pitcher P Maholm. 4th: R Tejada struck out looking. 7th: R Tejada lined out to shortstop. 9th: R Tejada grounded out to shortstop. 1st: D Wright grounded into double play, third to second to first, R Tejada out at second. 4th: D Wright flied out to left. 7th: D Wright grounded out to pitcher. 2nd: S Hairston grounded out to shortstop. 5th: S Hairston lined out to first. 7th: S Hairston doubled to deep left center. 2nd: D Murphy singled to center. 5th: D Murphy grounded out to pitcher. 7th: D Murphy grounded out to shortstop. 2nd: R Cedeno grounded into double play, shortstop to second to first, D Murphy out at second. 5th: R Cedeno struck out looking. 8th: R Cedeno struck out looking. 3rd: J Bay grounded out to shortstop. 6th: J Bay flied out to center. 8th: J Bay popped out to shortstop. 3rd: R Johnson flied out to right. 6th: R Johnson doubled to deep center. 8th: R Johnson grounded out to third. 3rd: M Harvey grounded out to shortstop. 6th: J Turner grounded out to second, R Johnson to third. 9th: J Valdespin struck out looking. Paul Maholm pitched a three-hitter in his second start for Atlanta and the Braves got two-run homers from Jason Heyward and Dan Uggla to beat the New York Mets 4-0 Friday night. 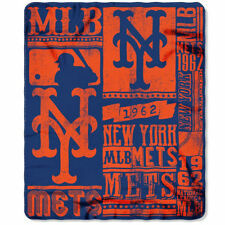 New MLB New York Mets Large Soft Fleece Throw Blanket 50" X 60"
A year ago, Danny Farquhar was pitching for the White Sox when an aneurysm burst in his brain. Here's how he and those around him recall that fateful day, his recovery -- and his return to the mound. Before Friday night's game at Petco Park in San Diego, rival managers David Bell of the Cincinnati Reds and Andy Green of the Padres spoke optimistically about their struggling offenses. The Colorado Rockies and Philadelphia Phillies aren't division rivals, but they do have a significant history together. After the series opener was washed out Friday due to rain, the Minnesota Twins and the host Baltimore Orioles will begin their weekend series Saturday. and the RBI came on a groundout that became an error, a walk and a hit-by-pitch.